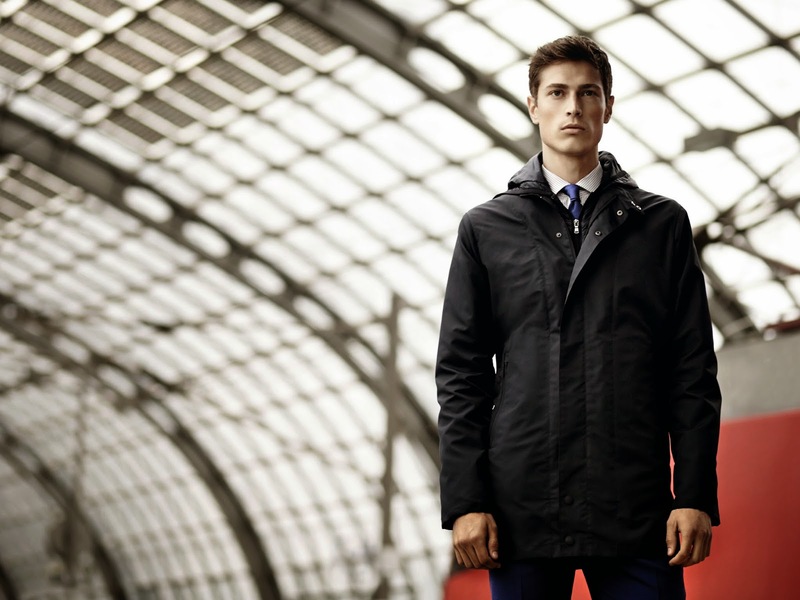 Pal Zileri is an Italian luxury brand of menswear. The quality is one of the highest on the market and the style is classic with little twists to appeal to men of all ages. The Spring Summer Collection 2014 brings the inspiration from the 1960s West Coast look with suits and fresh linen trousers, check patterns for jackets and printed shirts. This look is very relaxed with the purple, grey and black palette of the checkered jacket. A crisp white shirt and a pair of beige trousers give a smart look that wouldn't be out of place in a board room, at a party or for an important date. Men are not fussy like women so I know they will love something that it can be worn in more than one occasion. The Lab Pal Zileri is inspired by Berlin architecture and four capsule wardrobes have been designed with the four colours defining Berlin, grey like the asphalt and the steel, blue like the night very lively in this city, black that for a man is a must and green from the green of Tiergarten Park. This beautiful jacket with details on the upper sleeves and a slim silhouette. This jacket from the Lab Pal Zileri label is great. It is just that kind of jacket a man would wear while travelling, with pockets and the hood, ready to be used in case of a sudden shower. This jacket is timeless and it will appeal even the less fashion conscious man.